A project to conserve and improve Green Lakes State Park’s rare lakes features a new year-round environmental education center. The center will encourage young visitors to better understand nature and enjoy active outdoor living. Thanks to a fundraising partnership between the state and local community, a deteriorated 1940's boat house was converted into a new home for park events and environmental education programs. Workers disassembled the boathouse and meticulously rebuilt its stone and timbers away from the water's edge. The new 1,100-square-foot center includes indoor classroom/multipurpose space and restrooms, as well as an outdoor classroom, lakefront boardwalk, and a canoe and kayak landing. It was completed as part of the work to protect the park ecosystem, restore the lake edge, and filter stormwater. This improvement of Central New York's most-visited State Park is made possible by the NY Parks 2020 initiative. Learn more. On November 14, New York State Parks was proud to join our partners at Parks & Trails, New York to receive the Environmental Excellence award from the NYS Department of Environmental Conservation. for I Love My Park Day (ILMPD). The award acknowledged the program’s “impressive demonstration of environmental stewardship.” Held since 2012, I Love My Park Day engages thousands of volunteers in cleanup, improvement, and beautification projects at New York state parks, historic sites, and public lands. Since its inception this one-day event has resulted in 930 park improvement projects completed by 34,000 volunteers, contributing 77,350 hours of community service. These extraordinary efforts preserve and protect New York's treasured outdoor recreational areas and enhance the experiences of the more than 71 million visitors, generating an estimated $5 billion in spending and supporting nearly 54,000 jobs. 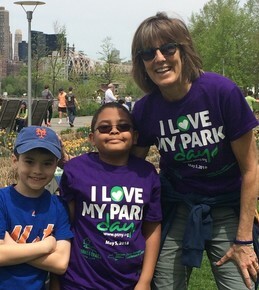 Mark your calendars for I Love My Park Day 2019—to be held on May 4th. 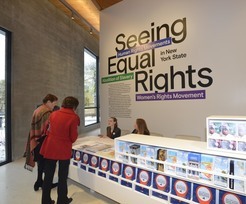 The New York State Equal Rights Heritage Center in Auburn, Cayuga County is now open, providing a facility to emphasize New York State's progressive history of promoting social and equal rights, celebrate New York's equal rights pioneers, and encourage tourism at the region's many attractions and destinations. The facility includes interactive maps and videos that will educate and highlight the role the State and New Yorkers have played in the struggle for women's rights, abolition, civil rights and the more recent efforts for LGBTQ rights. Visitors will be offered an intimate look at equal rights heroines and heroes who have rallied, sung, and spoke eloquently in their efforts to broaden the definition of human rights in ways that have impacted the entire nation. A commemorative statue of Auburn’s Harriet Tubman adorns the entrance to the Heritage Center, depicting the young freedom fighter traveling by night amid one of her great journeys, holding out a cautionary hand to her followers as she leads them to freedom. Learn more. Keep The Card - Get the Discount! You can now renew and reuse your existing Empire Pass Card for the 2019 season (online only) and get $10 off the standard $80 price of the single year pass. Discount also applies to the 3 and 5-year passes. Relax, you have time, this special $10 discount is available now through March 31, 2019. Learn more. In a public-private partnership with PSEG Long Island, the Long Island Power Authority, New York Power Authority and private donors, State Parks will construct a new Energy and Nature Education Center at Jones Beach State Park to encourage visitors to become good stewards of the environment and smart energy consumers. The Energy and Nature Education Center will provide modern space to expand and enhance the park's environmental education programs, replacing an outdated facility at West End 1. 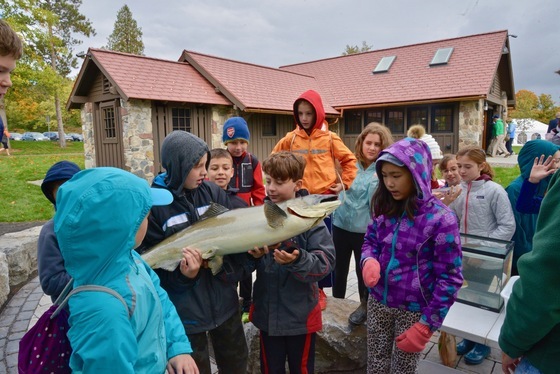 Through a variety of hands-on exhibits and programs, visitors to the Center will gain an understanding of Long Island's various ecosystems and learn how to use energy wisely, conserve water and create a more resilient and sustainable future. Featured exhibits will highlight how electricity is generated and distributed and how consumers can manage energy more efficiently to lower our carbon footprint. 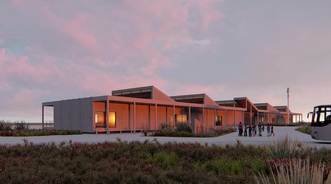 The new, net-zero Center also anchors a newly designated 218.5-acre Park Preservation Area at the park's West End a to enhance protection of the park’s outstanding maritime coastal habitat. Exhibits and programs at the Jones Beach Energy and Nature Center will teach visitors about the Park Preservation Area unique plant and animal life. Learn more. Two important links in the planned 750-mile Empire State Trail across New York are open to pedestrians and cyclists. In the Mohawk Valley, Erie Canalway Trail was extended from Amsterdam to Pattersonville, following the path of a former railroad. The 5-mile trail helps close a gap that forced trail users to travel along a busy high-speed roadway. 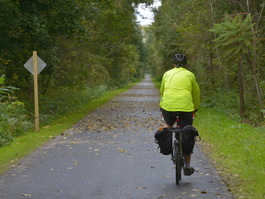 In addition, 12 miles of the Old Erie Canal State Historic Park from Green Lakes State Park to Canastota were upgraded with a new stone dust surface for much of the pathway and an asphalt surface on a 1.6-mile section in Chittenango. The projects will help create the Empire State Trail, which when complete will be a continuous 750-mile route from New York City to Canada and Buffalo to Albany. Work to convert the former West River Parkway into a multi- use recreational trail that connects the City of Buffalo to the City of Niagara Falls is also complete. The project transformed the highway into an 8-mile vehicle-free multi-use, multi-season trail along the Niagara River from Beaver Island State Park to Buckhorn State Park. How long have you been with the agency? I started with New York State Parks as an intern in winter/spring 2010 at Buttermilk Falls State Park and Letchworth State Park in the summer of 2010. Since then I worked at the Taconic Outdoor Education Center in Clarence Fahnestock State Park, and am now back at Letchworth, working at the Humphrey Nature Center. What does someone in your position do? As an Environmental Educator, I am charged with providing meaningful interpretive experience to our visitors in Letchworth, as well as throughout the Genesee Region. I deliver a variety of programs to very diverse group of patrons. For example, in a typical month I may be sampling for aquatic critters in Trout Pond with a 6th grade class, exploring the Letchworth gorge with a local ARC group, and leading a bird tour for a local birding club. What’s the coolest thing you’ve ever done? We have been raising and releasing monarch butterflies at the Humphrey Nature Center at Letchworth for a few years now. We also participate in Monarch Watch, where we apply a sticker tag to each butterfly for tracking purposes. In August 2017 I tagged a butterfly as part of a public butterfly release program, and that butterfly was recovered in February 2018 on its wintering grounds in central Mexico – over 2,500 miles from Letchworth! Is there a destination in the park you’d recommend to someone? One of my favorite spots in Letchworth is the area by Lower Falls. The stone footbridge there offers a neat perspective of standing over the Genesee River, and there you will find a rare flower that only grows in a few places in all of New York. What inspired you to work in the park system?I have been enjoying the outdoors my entire life, and have always sought to help others do the same. 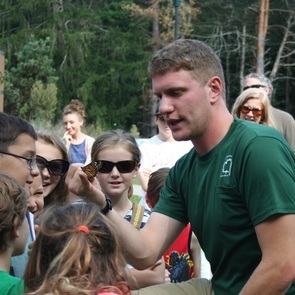 I am now fortunate enough to be in a position where I get to show park visitors all the wonders that the natural world has to offer, while also inspiring the next generation of young naturalists. Celebrate the New Year in the outdoors! 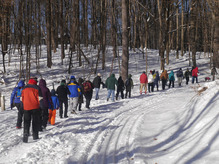 Find a hike near you at parks.ny.gov. More are being added weekly.